In a previous post I introduced the Uploader control, since then I noticed it wasn’t possible to attach pdf’s and or any other file type that was not an image. Each time I uploaded a pdf file, it would put a red boarder around the file, and no item was created in Sitecore. After some investigation, I found that the ImageType setting in the web.config defines what image (files) types can be uploaded via the SPEAK uploader control. If you append “pdf” for example it is possible to upload pdf’s. I don’t like that I have to specify that PDf is an image type, as this might have other unwanted side effects. 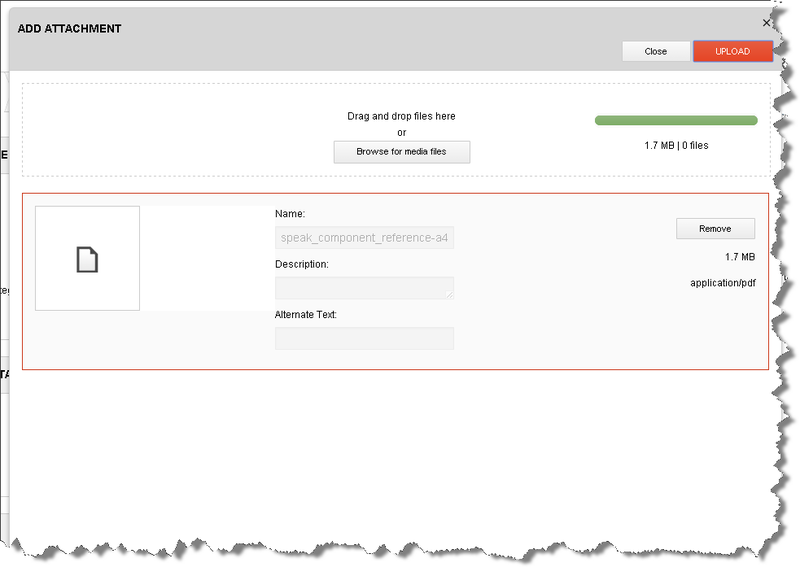 But when using the SPEAK uploader control, it creates the correct item type (i.e. PDF). 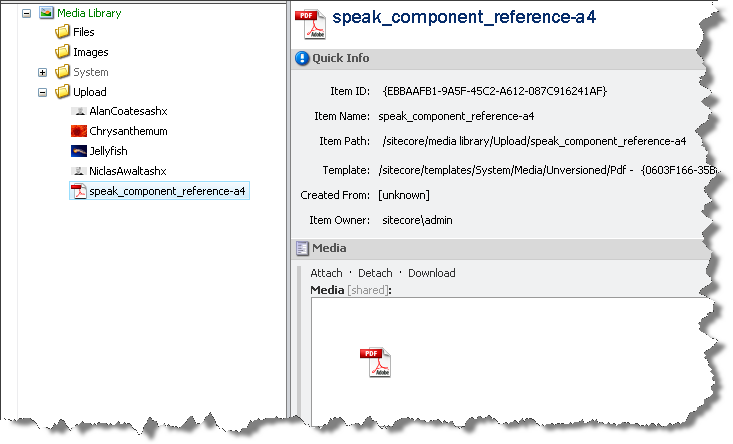 This entry was posted in Sitecore, SPEAK and tagged Media, pdf, Sitecore, SPEAK, uploader on February 28, 2014 by Alan Coates.